Conjunctivitis is caused by a bacteria, and different species of bacteria affect different organisms. 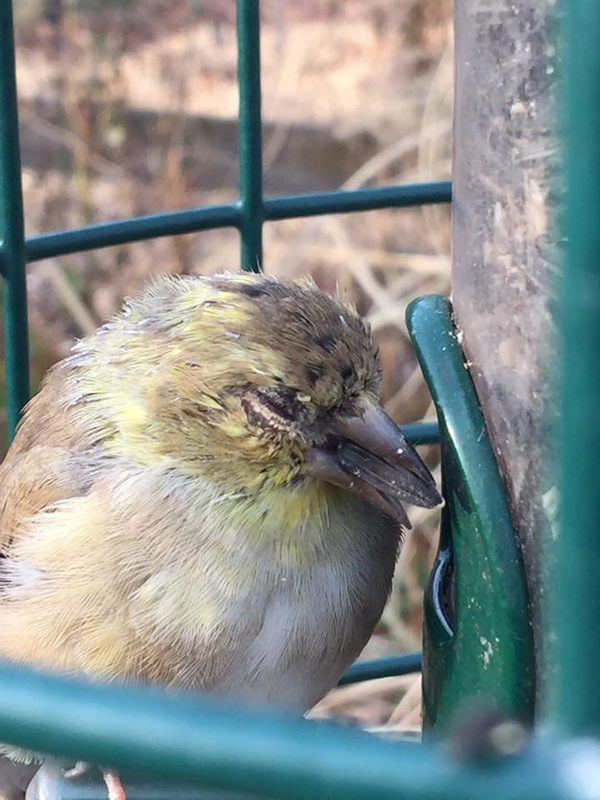 The bacterium known to infect local house finches has also been documented impacting species such as American goldfinches, evening grosbeaks and purple finches. After the outbreak, the Cornell Lab of Ornithology launched the House Finch Disease Survey, which ran until 2008. The project helped document the spread of the diseaseacross the U.S. and has allowed researchers to understand more about it. Today, disease data is still documented, but all data is now reported through Project FeederWatch. If you feed birds, keep an eye out for any finch species that may appear to have red, swollen and/or crusty eyes. Sometimes, birds will sit in your yard and scratch their eyes while others may appear completely listless. Some birds can kick the disease on their own while others pass away from starvation or predation. If you can capture the sick bird, they often can be taken to a licensed wildlife rehabilitator. If you find any sick birds at your feeder, be sure to take it down and thoroughly disinfect it before putting it back up. Sometimes, it is best to keep the feeder down until the sick bird moves on. Otherwise, your feeder can become a hub for disease transmission.